Fashionable and ecological, the cork fabric can be used in production of a wide range of products (from handbags, purses, wallets, journal covers, clothes, to other accessories) that will allow you to obtain a unique product. Touch PRO line Natural. 1ydx27in (width of fabric). Similar handle to leather. 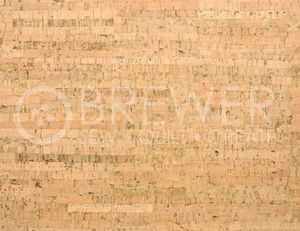 Cork fabric is lightweight, waterproof, stain resistant and hypoallergenic. Color: Natural.